His study a classical piano began at age seven. His father, Uno Naissoo (1928 – 1980), was composer, educator and organizer of Tallinn jazz festivals. About ten years old, Tõnu started to play free improvisations on piano. After studies at Tallinn Music School and Tallinn State Conservatory he got scholarship from Berklee College of Music (USA) in 1989. His debut took place with his trio at the International Jazz Festival „Tallinn 1967“ when he was 16 year old. Next year (1968) he recorded his first LP: „Tõnu Naissoo Trio“ (Melodiya). As a solo pianist his first performances took place in 1971 in Novgorod and in Leningrad (Russia). 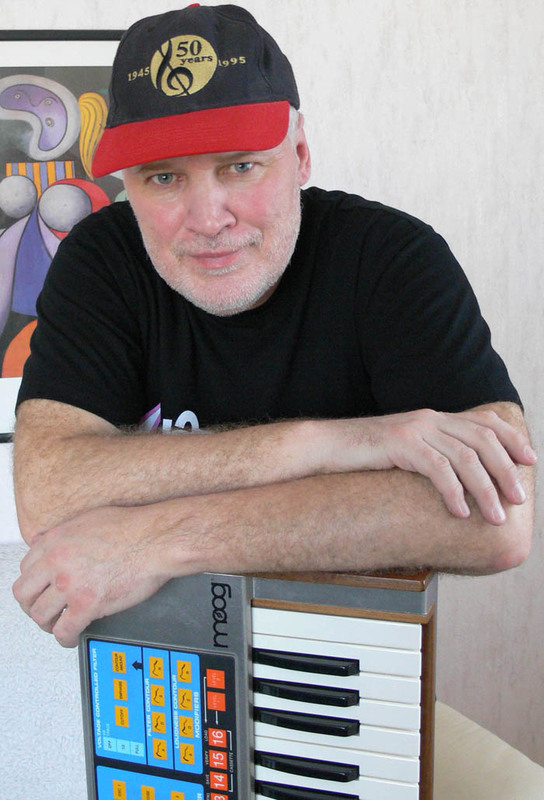 After some years of silence in jazz field – he was a keyboardist in the instrumental ensemble of the pop-showgroup „Laine“ (1972–76) – he started again perform in a trio format in 1977. After success with his trio at the jazz festival „Thbilisi 78“ (Georgia), he was invited to perform in many former Soviet Union´s major jazz festivals including Riga (Latvia), Donetsk (Ukraine), Leningrad, Yaroslavl (Russia), Baku (Azerbaijan) and Birštonas (Lithuania). He gave also solo concerts with his quartet and was a frequent guest as a solo pianist at concerts in Minsk (Belorussia), Leningrad (St. Petersburg) and Moscow. In 1980s he also started to play abroad including clubs and jazz festivals in Hungary, Cuba, Finland, Belgium, West-Germany, France and USA. He has played with such internationally well-known jazz musicians and groups like Gebhard Ullman, Michel Marre, Yves Teicher, Jens Winther, Bob Moses, Dennis Rowland, Ted Curson, Vladimir Tarasov, Ulf Krokfors, Brian Melvin, Ryo Kawasaki, UMO Big Band and the New York Voices to name a few. He has been a pianist of several international projects, such as the EBU Big Band (Pori Jazz 1985, Finland); Trio Thomas Eckert (Switzerland) – Vyatcheslav Gaivoronsky (Russia) – Tõnu Naissoo (Turku Jazz 1992, Finland); The Baltic Trio: Egil Straume-Vladimir Tarasov-Tõnu Naissoo (Schleswig-Holstein Musik Festival 1992, Germany); Vladimir Tarasov`s Baltic Art Orchestra (Jazz Baltica and Münster Jazz Festival 1994, Germany). He has been a piano soloist at the premiere of Alfred Schnittke`s 1st Symphony in USA (1988) by Boston Symphony Orchestra (cond. Gennady Rozhdestvensky) and in Holland (1991) by Rotterdam Philarmonic Orchestra (cond. Gennady Rozhdestvensky). He has also co-operated with Riga`s String Quartet. In 2002 he played solo piano at the 6th Jazz Pianists Festival in Prague in concert with Adam Makowicz and John Taylor. In 2004 he played a series of concerts in Prague with an intrnational avant-garde group (under leadership of George Haslam) including musicians from England, Czech Republic, Slovak Republic and Hungary. In 2006 and 2008 he toured in Czech Republic with the Freetime Quartet and in 2006 he played solo piano and with the Georg Haslam Sextet in Great Britain at the Marlborough Jazz Festval. In 2007,2008 and 2011 he toured in Japan with his piano trio and in 2009 had solo piano concerts. In his interpretation, Tõnu Naissoo combines several trends of jazz, while including also principles of classical music into his improvisations. He has been interested in electric keyboards since late 1960s. He had used them mainly in film and theatre music but also in jazz-rock and electric jazz projects. Also performances with DJ-s he plays on his various electric keyboards and Moog synthesizers. In recent years he started more actively to play on Hammond organ. Since 2005 he has released 11 CDs in Japan under Atelier Sawano label (distr. in USA by Eastwind Import). He has been performed in such famous concert halls like Tchaikovky Concert Hall in Moscow, Kapella in St. Petersburg, Boston Symphony Hall, DeDoelen in Rotterdam, Rudolfinum in Prague, Holywell Music Room in Oxford and Orchard Hall in Tokyo. Tõnu Naissoo has written music for his own groups, big band, scores for numerous films (including feature films), theatre and TV productions and also chamber and choir music. Since 2001 he teaches a jazz piano (associate prof.) at the Estonian Academy of Music and Theatre.